While walking down the street the other day, I passed a little girl walking with her dad. The dad was belting out “Let it Go” (from Frozen, of course…and let me interject that it is completely adorable what little ones can get their dads to do). But the thing that struck me was that this little girl and her father were black… and I realized that there is not one black character in that movie. And there is absolutely no reason for that fictional town to not be filled with diverse characters. This little girl, like my little girl, and so many other little girls and boys, obviously loves that movie. Why should she not see herself represented in movies she loves? Now, this isn’t a new concept. This is something that anyone who falls out of the realm of whatever ‘privilege’ we want to choose deals with daily. Fortunately, there is a grassroots movement happening in the writing, publishing and library world right now. And it affects all of us because, unlike the characters in Frozen, we do live in a world that is filled with diverse characters. The We Need Diverse Books tumblr was “created to address the lack of diverse, non-majority narratives in children’s literature. We Need Diverse Books is committed to the ideal that embracing diversity will lead to acceptance, empathy, and ultimately equality. We recognize all diverse experiences, including (but not limited to) LGBTQIA, people of color, gender diversity, people with disabilities, and ethnic, cultural, and religious minorities. Our mission is to promote or amplify diversification efforts and increase visibility for diverse books and authors, with a goal of empowering a wide range of readers in the process. For me, I believe we need both kinds of books. And more of them!! (Check out this discussion on the Lee and Low blog entitled, “Why Hasn’t the Number of Mulitcultural Books Increased in Eighteen Years“). That being said, I wanted to create a booklist that DID focus on characters of differing backgrounds presented naturally, because I feel those books are a little harder to find for the parent who just wants a simple bedtime story, or the preschool teacher who wants relatable books that represent the children sitting around their storytime circle. Below I have created just that: a list of books featuring characters of color, characters who fall into the LGBTQIA category, or people with a characteristic that otherwise places them in the ‘minority.’ This is just a start, though. Check out the additional booklists and websites with tons of resources on incorporating more diverse literature into your library (also listed below). Also, keep in mind that many of the authors listed below have many multicultural books beyond what I have listed. 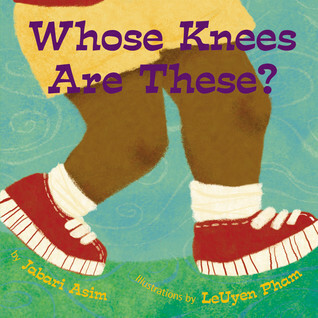 50 Multicultural Books Every Child Should Know from the Cooperative Children’s Book Center (CCBC) – this list is by age, so very helpful!! Go forth now and fill your child’s library with diverse books!! Enjoy!